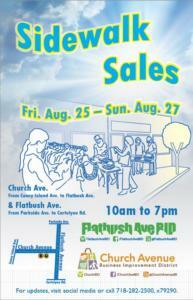 At the three-day-long Sidewalk Sale event merchants of the Church Avenue BID and the Flatbush Avenue BID offer shoppers extreme savings and fabulous deals on fashion, home-wares, stationery, beauty supplies, electrical goods, food, and more! 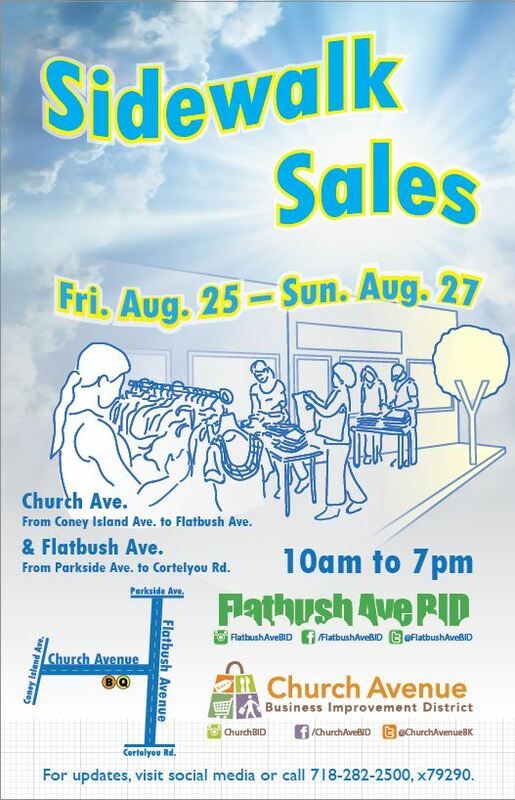 The sales event takes place along the sidewalks and inside participating businesses located on Church Avenue between Coney Island Avenue and Flatbush Avenue and on Flatbush Avenue between Parkside Avenue and Cortelyou Road. For information on how to participate as a vendor, please contact us at 718-282-2500, x79290 or FlatbushAveBID3@gmail.com. ​​Local merchants can download the permit to participate here. For more information visit our Street Fair event page. Free Live Performances at this Sunday’s Make Music New York Event! Join the merchants of the Flatbush Avenue BID for a day filled with rides, games, food, music, vendors, magic, dance, balloon art, and more at the annual Flatbush Avenue Street Fair! 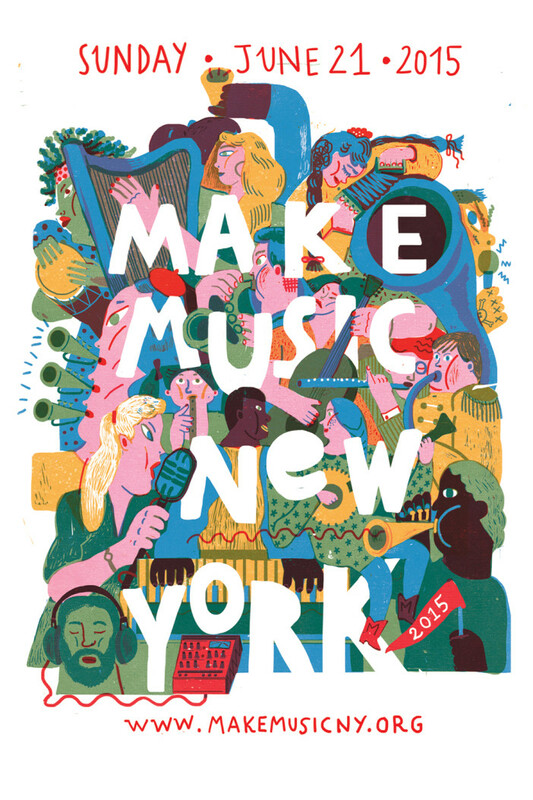 Where: Flatbush Avenue from Parkside Ave. to Cortelyou Rd. Plan Your Trip: For the best way to bus, bike, walk, or drive to the Street Fair click HERE! Attention Flatbush Avenue BID merchants: To reserve your free space you must register by June 5th. Download the registration form by clicking here. For a copy to be delivered to your door, please contact the BID at FlatbushAveBID2@gmail.com or call 718-282-2500, x79290. Businesses outside the BID that are interested in having a booth should contact Meteor Productions at (718) 444-6028. The 2015 street fair is sponsored by Affinity HealthPlan, HealthPlus Amerigroup, Fidelis Care of New York, and WellCare.